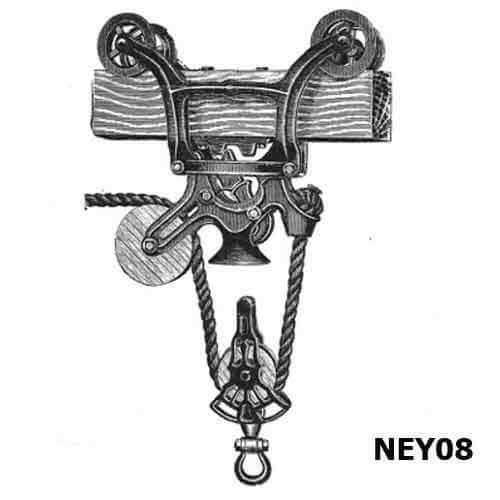 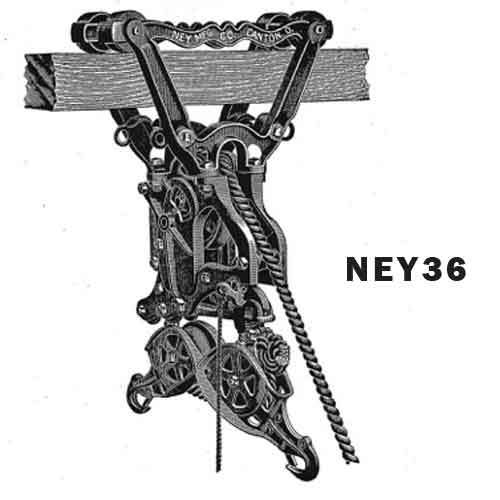 Jacob Ney, for some time prior to 1879, had a background in building and installing hay carrier outfits, or “hay elevators” as they were popularly called. 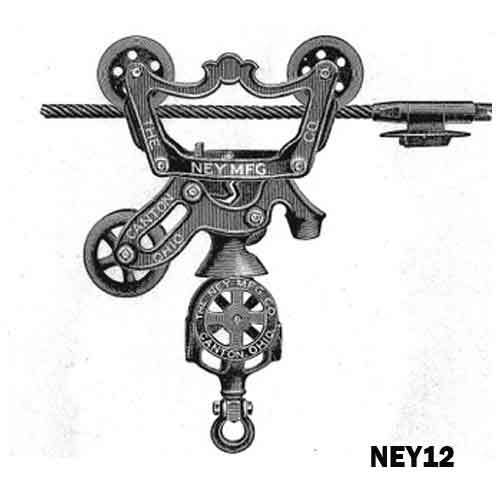 He was not satisfied with their performance and set out to apply his lessons-learned by building a better system. 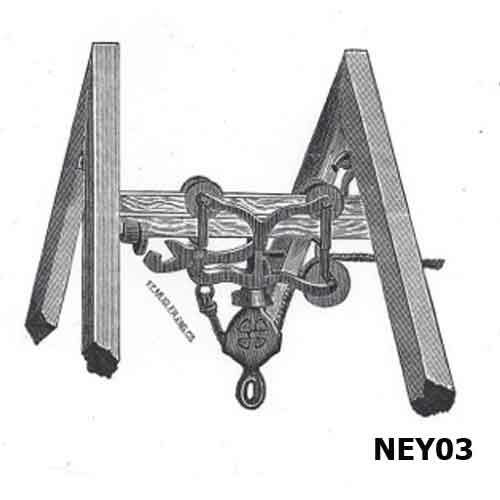 A patent was issued on December 16, 1879 for what was heralded as “the first successful steel-track hay carrier.” Little is known about an earlier partner he may have had named Mr. Kinney; however, it is believed he teamed up with hardware store owners Johnson Sherrick and Harvey Miller shortly after receiving his 1879 patent – calling the company Ney, Sherrick & Miller. 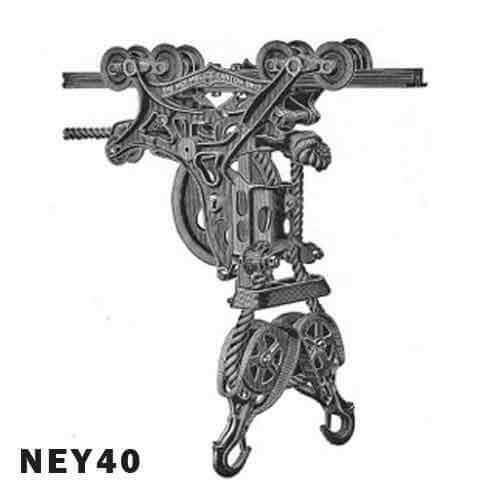 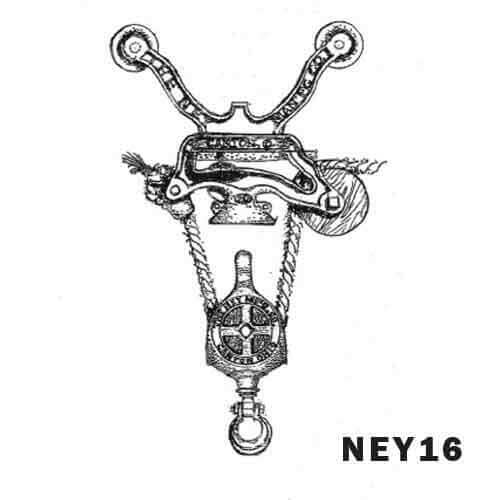 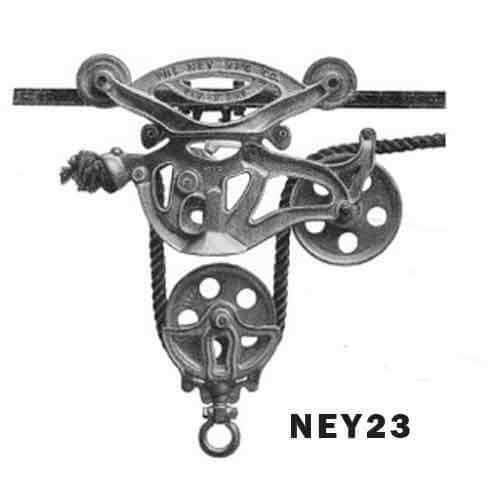 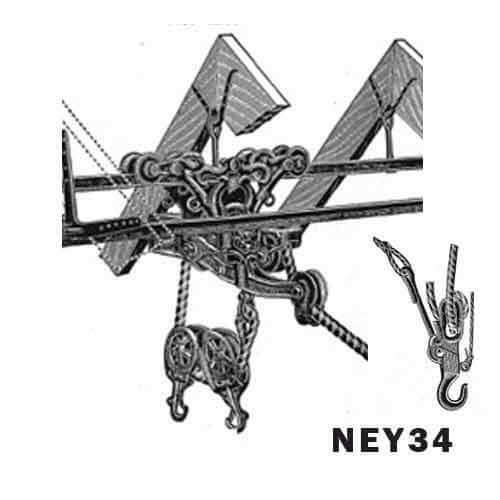 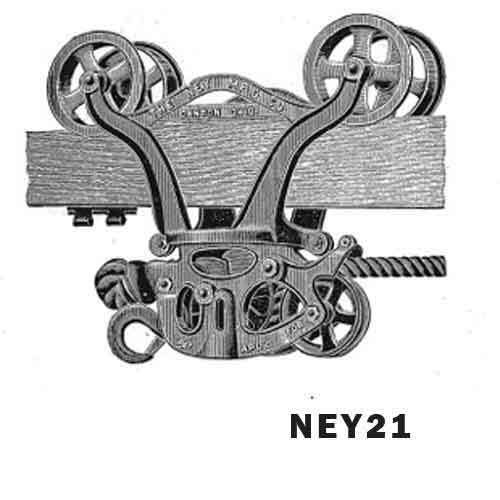 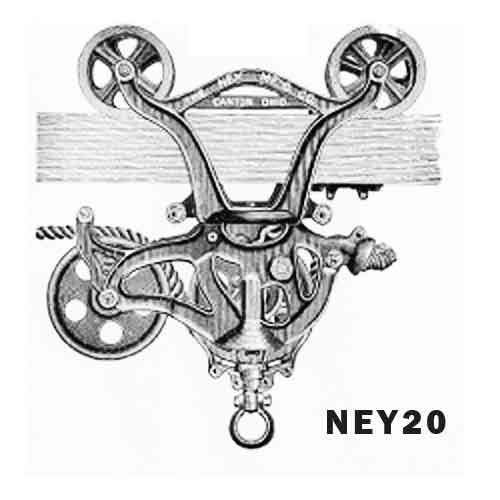 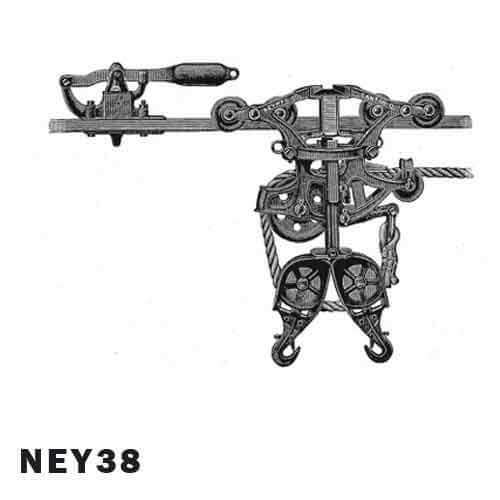 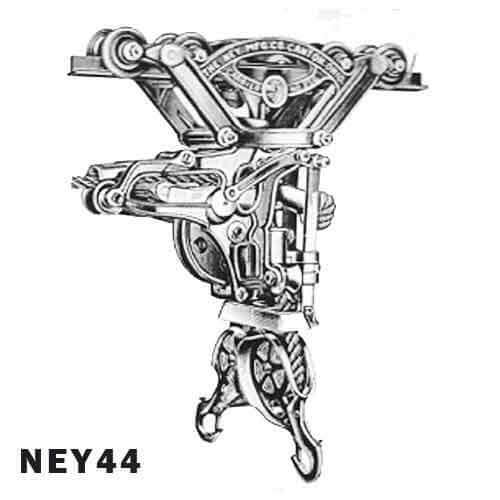 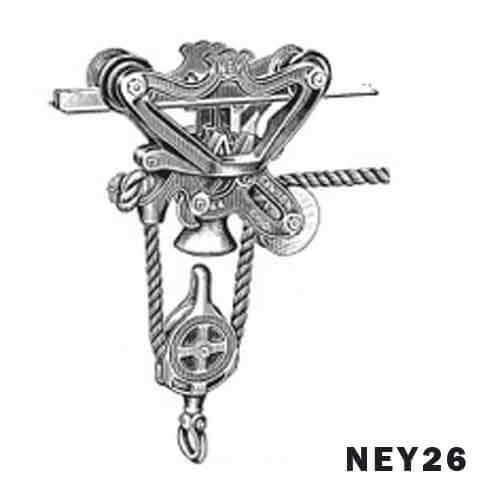 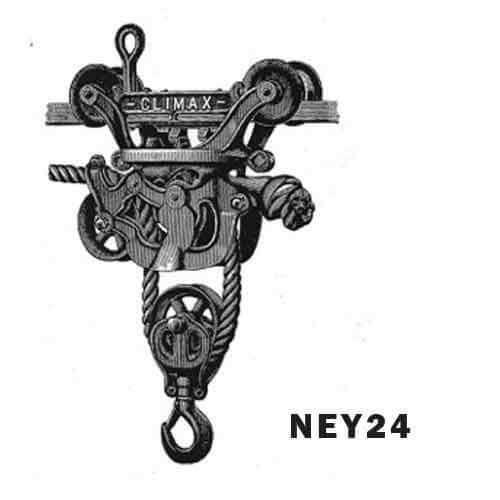 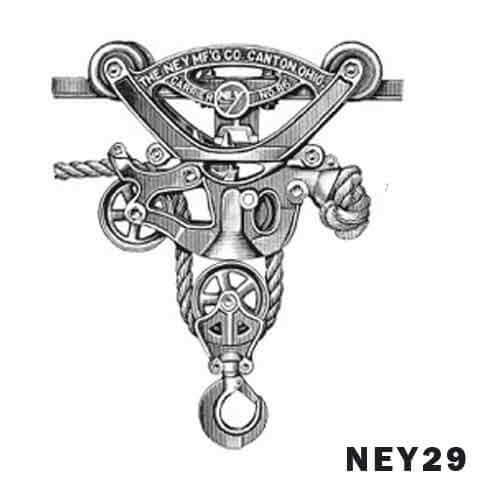 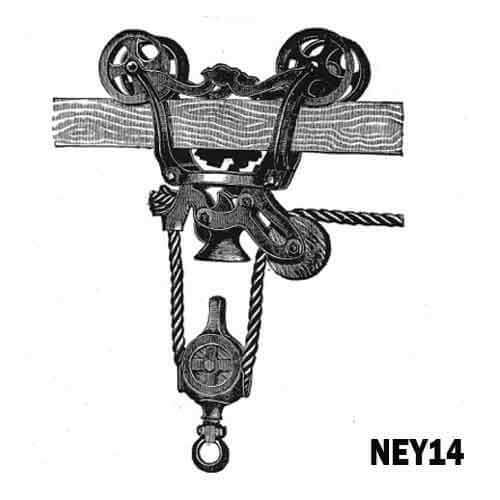 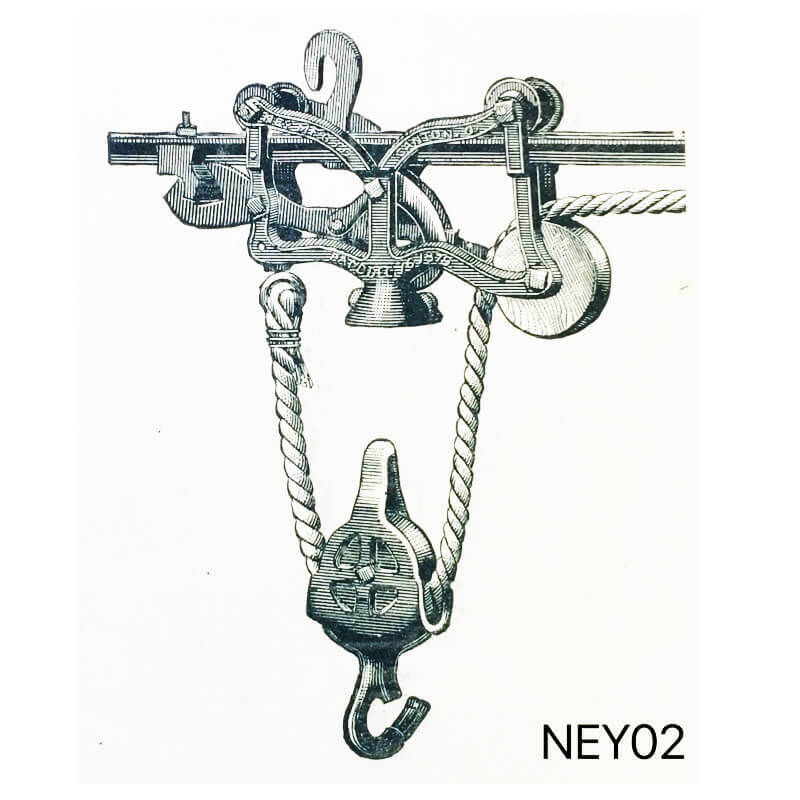 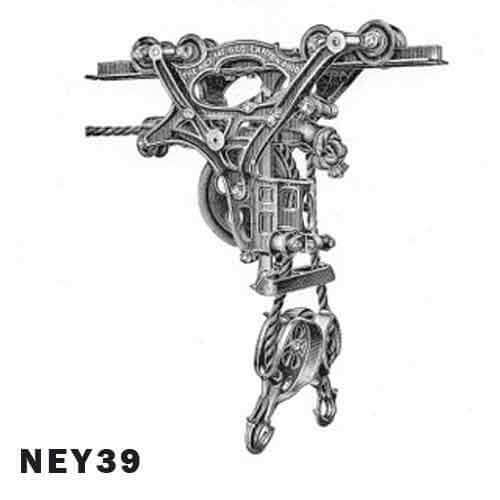 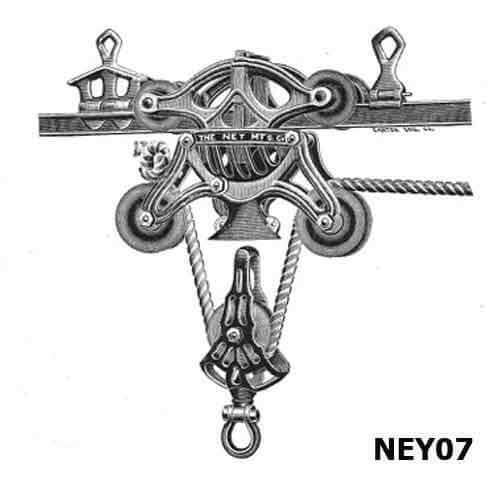 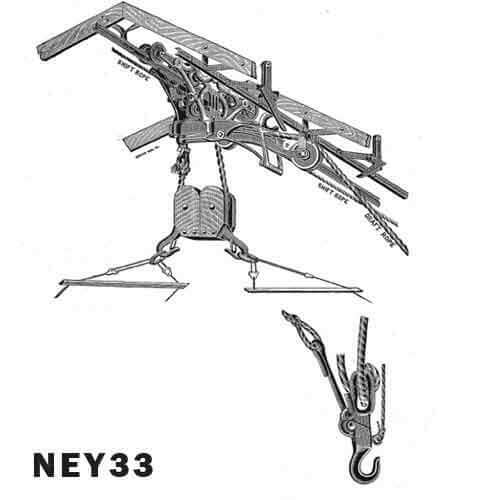 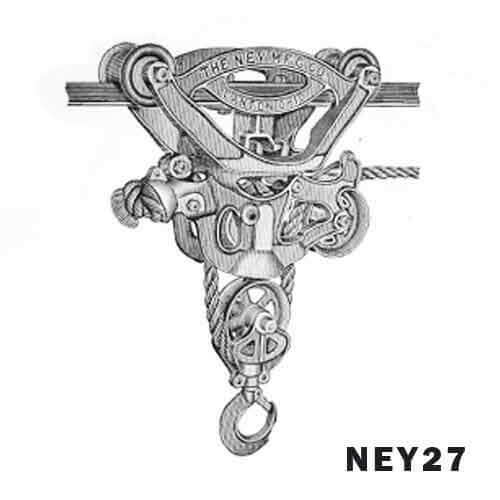 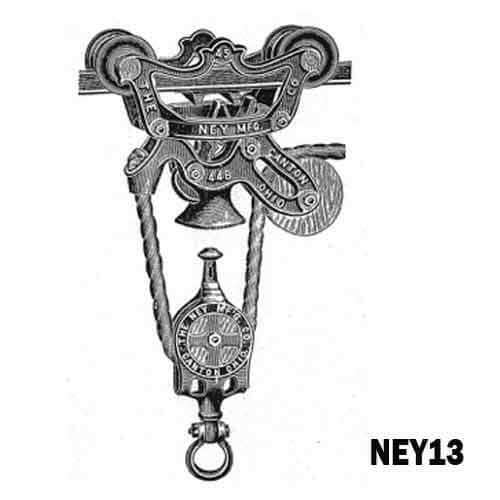 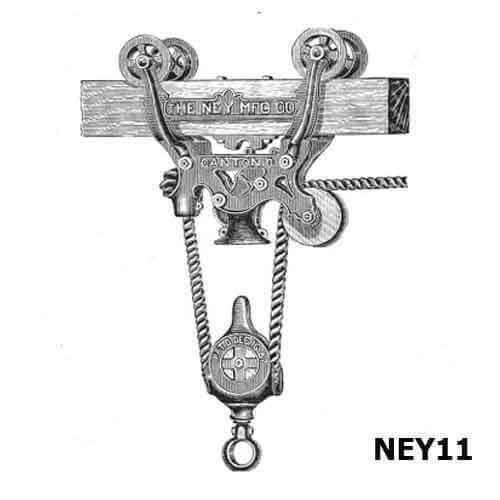 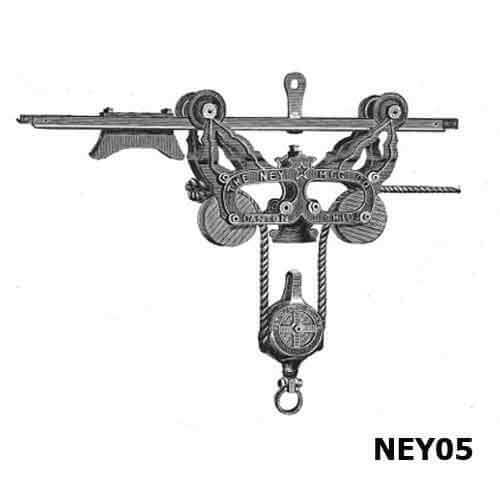 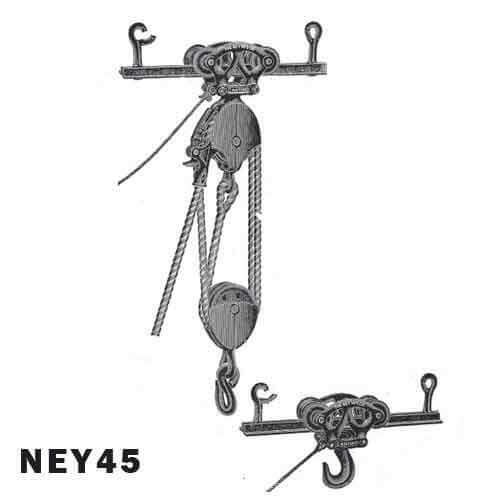 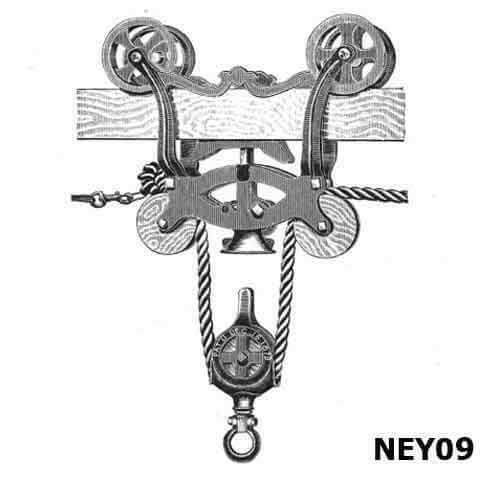 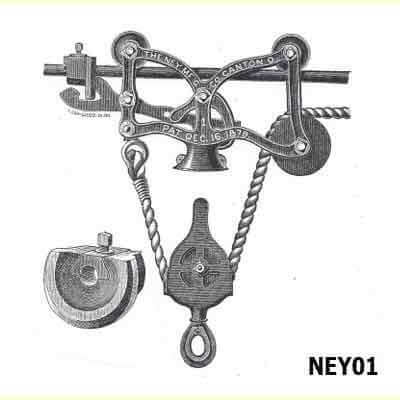 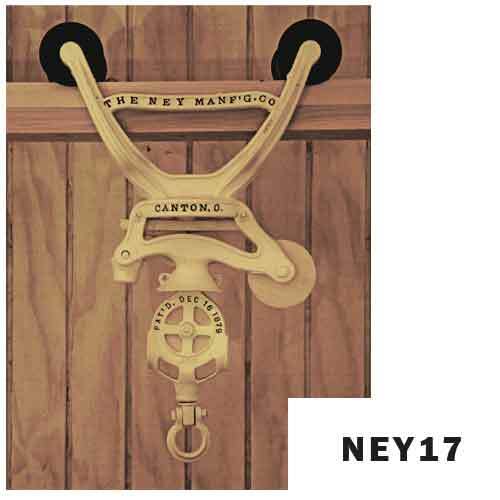 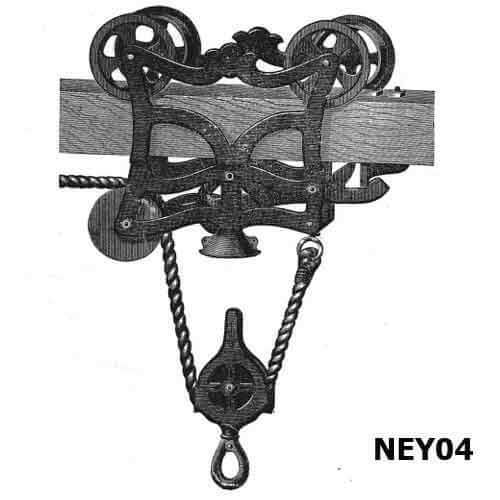 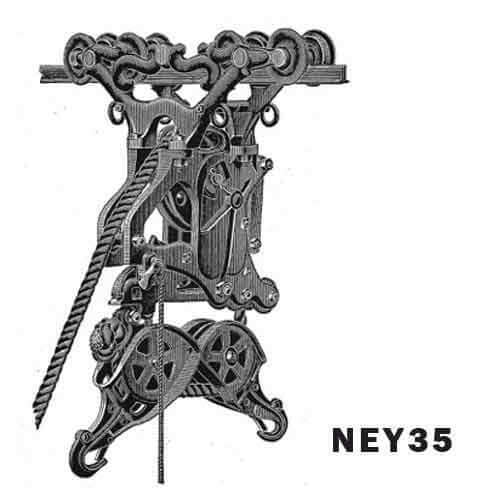 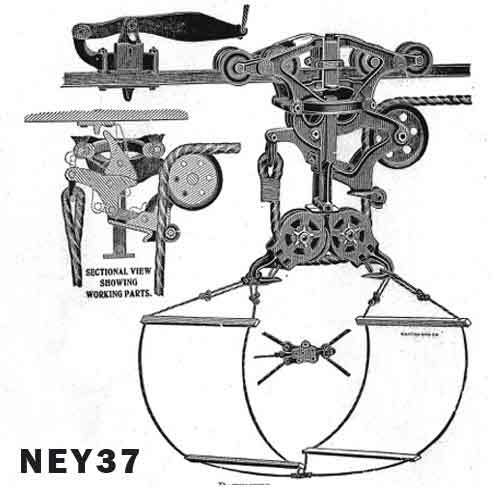 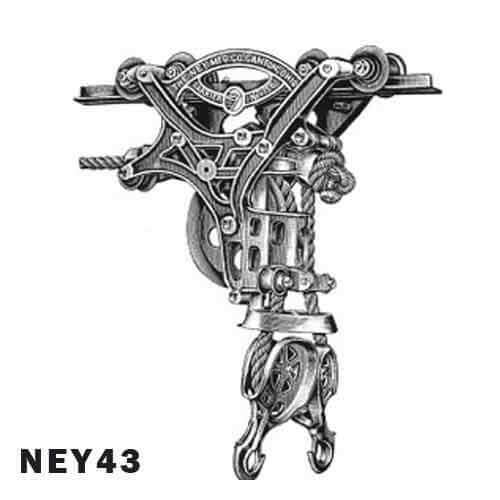 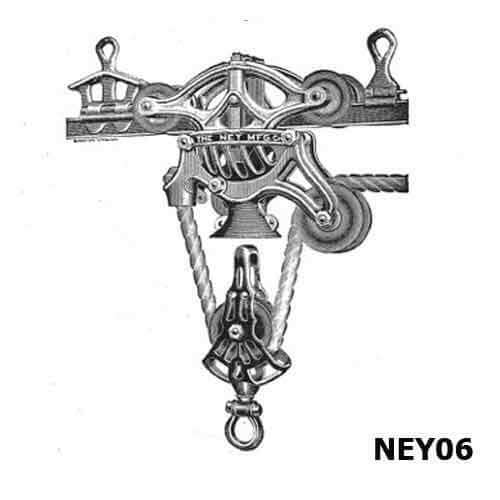 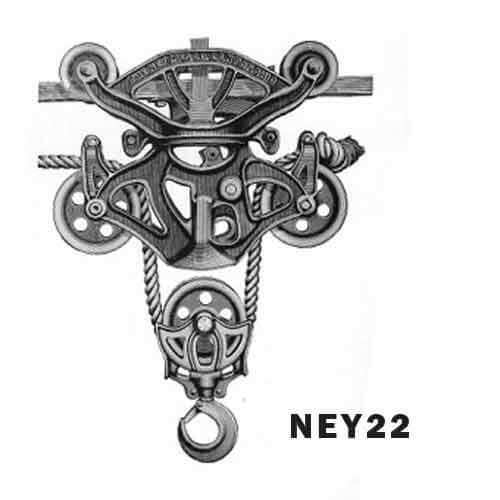 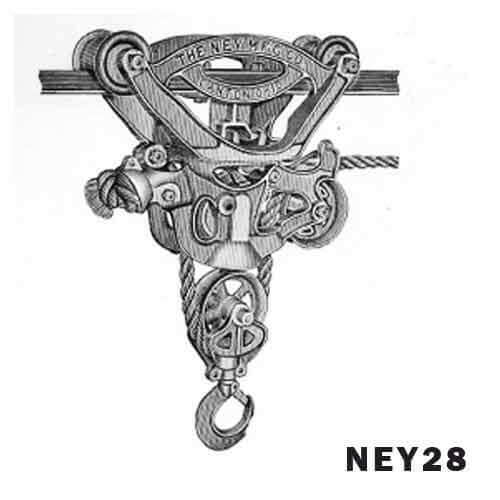 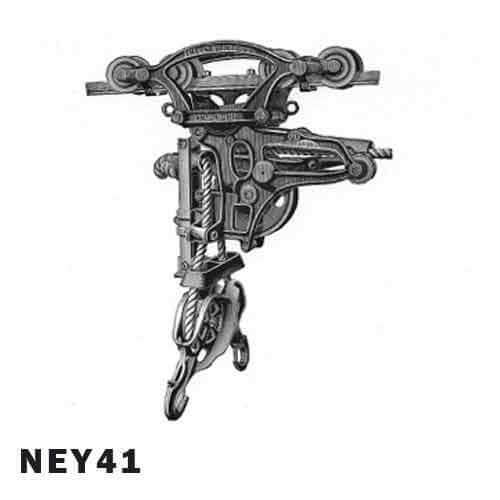 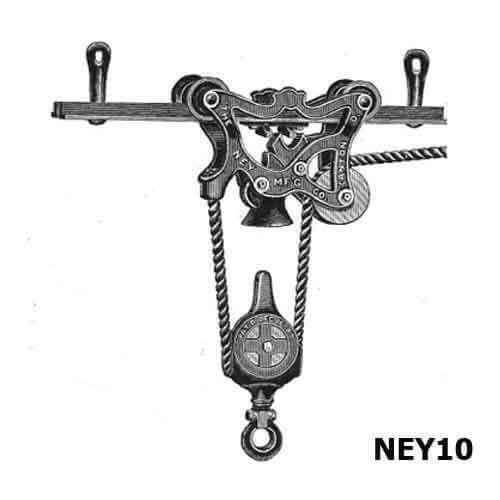 Eventually incorporated as the Ney Manufacturing Company, Harvey Miller’s brothers and a few others were brought in as stockholders and the group produced various hardware items in addition to the hay carriers, track, pulleys and associated items. 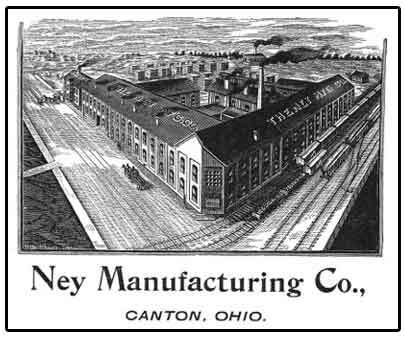 As superintendent, Jacob Ney owned 25% of the company. 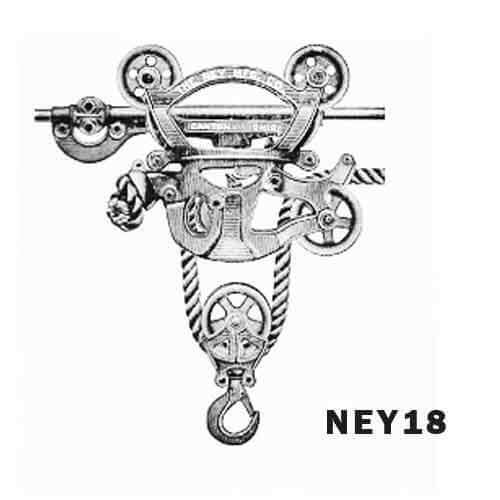 In 1884 he assigned his holdings to his father, Valentin Ney; and his brother, Valentine L. Ney. 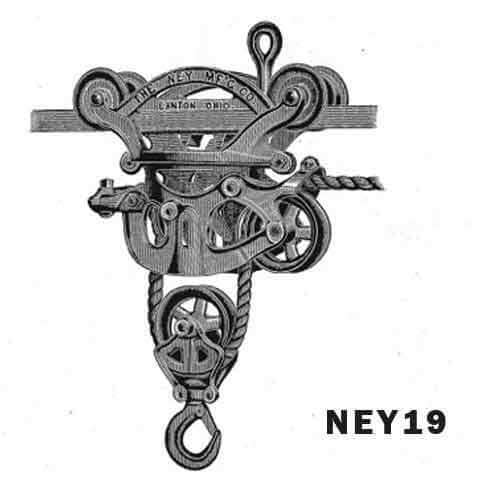 Then, in 1888, they sold out to the Miller family. 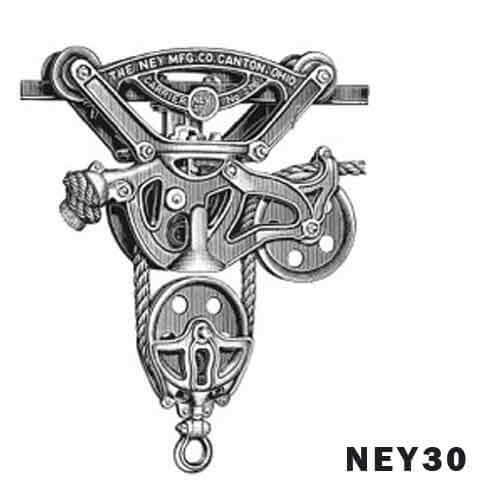 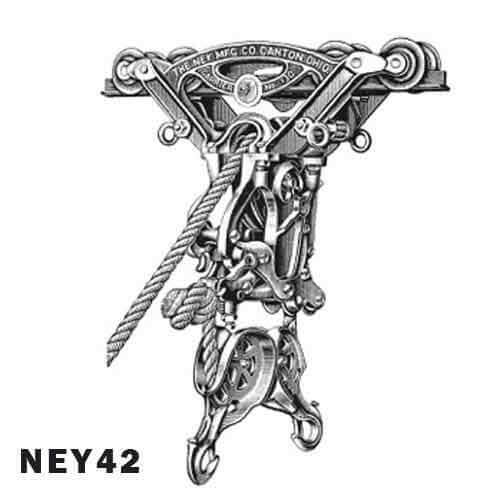 Ney Mfg. 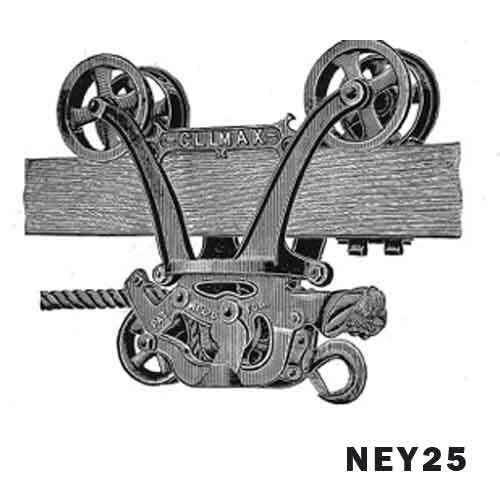 Co. went on to successfully market improved carriers and track, hay forks, pulleys and hooks and sickle-edge hay knives. 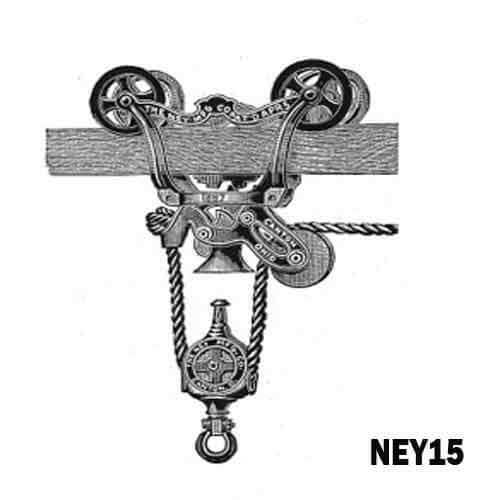 Like many successful trolley manufacturers of the time they also marketed a line of other barn equipment to include stanchions, stall dividers, water bowls, ventilation units and litter carriers. 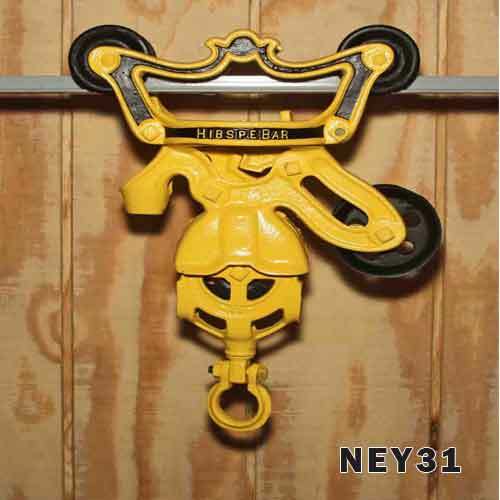 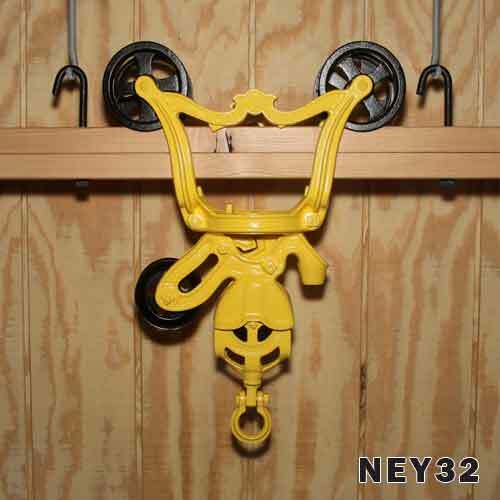 In addition, they also produced many hardware items, fence stretchers, chain, lawn rakes, children’s sleds, etc.